New Delhi: Wing Commander Abhinandan Varthaman, who shot down a Pakistani F-16 jet, was captured by the Pakistani Army a few days ago, but later released. This was informed by none other than Pakistan Prime Minister Imran Khan. As soon as the news of Varthaman's release broke out, Indian liberals started cheering for the Pakistani Prime Minister. "Finally, in this tense situation, Pakistan has shown some maturity and it will help to ease out the border tension between two countries. 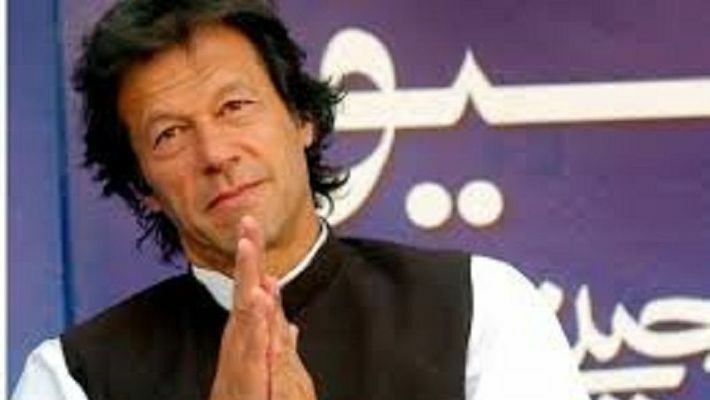 I must thank Imran Khan for his wonderful gesture," Sagarika Godse, a well-known liberal, told our reporter. "We have requested the United Nation to give the prestigious Nobel Peace Prize to Imran Khan for taking such an initiative for peace with 'dangerous' India. This is a very strong case for consideration and the UN must take a decisions in our favour," she added. When asked how Khan is eligible for the Nobel Peace Prize when he is just following the Geneva Convention in releasing Varthaman, Godse replied angrily, "You are too naïve to ask such a question. "More than 70.59% of the world population have no idea about the Geneva Convention, and in today's scenario, no one is following such meaningless international law," she said. "Is Abhinandan eligible for any award for his courageous and bold act of taking down the F-16 Pakistani jet?" our reporter asked Godse. "Definitely, he is not eligible, because he was merely doing his duty and nothing else, but we should pray for his safety," Godse said vehemently rejecting any possibility of an award for the Wing Commander. "We can't see cutie Imran Khan on the losing side. Even in the 1992 World Cup, I was praying for his victory and God listened to our prayers. We hope that God once again will listen to our prayers and Imran will soon receive the prestigious Nobel Peace Prize," another Indian Liberal from New Delhi told our reporter emotionally.